What can we expect from the wagon-ish SUV? 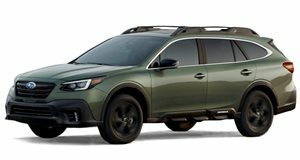 Previous reports indicated that the 2020 Subaru Outback would arrive sometime this year. The wait ended up being extremely short because Subaru plans to reveal the all-new Outback next week at the 2019 New York Auto Show on April 17. In anticipation of its imminent debut, Subaru has done what most automakers do to garner attention for a new vehicle: post a teaser so everyone can go nuts guessing what the car looks like. Teasers can be an effective way to manufacturer a little intrigue for a new model but in the case of the Outback, we actually have a good idea of what we can expect thanks to the recent reveal of the 2020 Legacy. Despite no longer sharing the Legacy name, the Outback SUV and Legacy sedan have always shared drivetrains and interior layouts, making it easy for us to predict what the new Outback will be like. Base Outback models will almost certainly be powered by a 2.5-liter four-cylinder boxer engine producing 182 horsepower, which is an increase of seven hp compared the outgoing 2019 model. This motor will be paired to a continuously variable transmission, which allows the smaller and lighter Legacy to hit 60 mph in 8.4 seconds and achieve mpg figures of 27-city and 35-highway. Since the Outback is taller and heavier, we expect the 0-60 and mpg figures to take slight hits. The outgoing 256 hp 3.6-liter six-cylinder boxer engine in the old Outback will be replaced by a 2.4-liter turbocharged boxer-four that delivers 260 hp (the same as what's found in the new Legacy and the Ascent). With the turbocharged engine, the Legacy can hit 60 mph in 6.1 seconds and achieve 24-mpg in the city and 32-mpg on the highway, so the Outback should fall shy of these figures. On the intside, the Outback should receive the same 11.6-inch touchscreen display on higher trim levels, easily making it the most technology-focused Outback we've seen. The Outback is Subaru's best-selling car, and a week behind the wheel showed us why. Just enough of everything, not too much of anything.